Use the menu bars on the top to find manuals or history books. You can also search by clicking on the magnifying glass in the upper right corner. 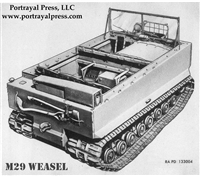 Use partial numbers or common names (Example: g503 or M151 or DUKW) to find all related titles. Lost? Use the chat function (below right) or give us a call at 855-339-0382. As our WW2 pilot buddies used to say, "show me the go levers and point me into the wind". Could you check out with 48 pages of instruction? 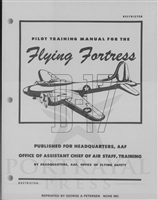 Fascinating look at flying the B-17 and training in WW2. The only authentic English translation of "Tigerfibel" - the Tiger I field manual. Unorthodox, burlesque and fascinating! 100% cotton, OD, '43 GPW - what more do ya need? Can't find what you need? We're available toll-free, Monday through Friday from 8:00am to 6:00pm ET, at (855) 339-0382, or Click Here To Email US.